Grapes have been cultivated and eaten for a long time. But grapes, along with other parts of the Vitis vinifera plant such as the leaves and sap, have also been used in traditional medicine in Europe for thousands of years. From the Egyptians to the ancient Greeks, the healing power of grapes and wine were realized, and grapes and grapevines were used to treat a variety of conditions including inflammation, pain, constipation, infections, and even various diseases. Today, grape seed extract is made primarily from the seeds of wine grapes. Grape seed extract has a rich antioxidant content, and these antioxidants have been studied for a number of therapeutic effects. Below we discuss what these antioxidants do in your body and highlight clinical data that supports the various uses of grape seed extract. What Are The Active Ingredients In Grape Seed Extract? The predominant class of molecules found in grape seed extract is polyphenols. Polyphenols are a broad group of substances found in plants. They include tannins, lignins, flavonoids such as quercetin (a flavonol found in many fruits and vegetable) and EGCG (epigallocatechin-3-gallate, a catechin found in green tea), cinnamic acids such as caffeic acid (found in coffee and other plants), coumarins, and stilbenoids such as resveratrol (present in grapes and also other berries). More specifically, in grape seed extract one type of polyphenol called oligomeric proanthocyanidin (OPC) is present at higher concentrations than all the others. OPC is a powerful antioxidant responsible for most of the beneficial therapeutic effects of grape seed extract. Proanthocyanidins are also found in other common foods and spices like fruits and especially berries, nuts, cinnamon, cocoa, and tea (EGCG is also a proanthocyanidin). Like these other foods, proanthocyanidins are found in grape skins and juice, but grape seed extract contains a much higher concentration. In fact, 70-90% of grape seed extract may be proanythocyanidins. The rest of grape seed extract contains procyanidin, different forms of catechins, and other bioactives in smaller amounts. What Do The Ingredients In Grape Seed Extract Do? The polyphenols in grape seed extract, especially proanthocyanidin, have been shown to have a number of beneficial effects. By increasing the levels of antioxidants in your blood stream (and body), grape seed extract can help counteract the harmful effects of free radicals. This Natural Capsule Contains Grape Seed Extract And Other Powerful Anti-Aging Antioxidants. As a strong antioxidant, proanthocyanidin protects from free radicals such as reactive oxygen species, defending your body from free radical damage from such factors as sun exposure, pollution, and stress. Standardized extracts of grape seeds have also been shown to have a positive effect in treating a wide range of health problems related to free radical damage. Studies with grape seed extract have shown efficacy with a wide range of doses. 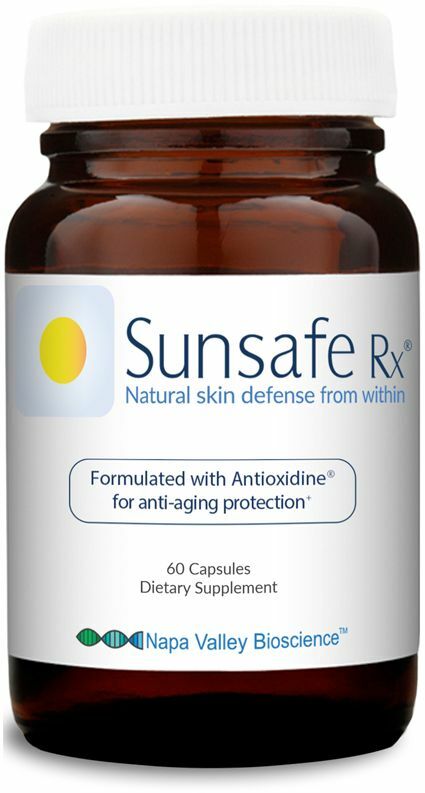 GSE is commonly taken in capsules or tablets containing serving sizes of 50 to 100mg, and may be sold by itself or in combination with other ingredients, including in this anti-aging product. Grape seed extract is generally considered very safe to consume, even at higher doses. Grape seed extract and grape seed proanthocyanidins haven’t shown any short or long-term toxicity. People allergic to grapes should not take grape seed extract. Because proanthocyanidins can limit platelet adhesion, grape seed extract may act as a blood-thinner, increasing clotting time. While this has cardio-protective benefits, people taking blood thinners should ask their doctors about any potential effects. Interactions between grape seed extract and other supplements and medications have not been extensively studied. Grape seed extract contains healthy ingredients called polyphenols, including a powerful antioxidant called proanthocyanidin. To date, research has shown a variety of benefits of grape seed extract, due in part to its powerful free-radical-fighting properties. In particular, data show grape seed extract to be useful in preventing or treating many different conditions, including those in areas involving cardio-protection, decreasing inflammation, the prevention of sun damage and skin aging, and fat metabolism and the maintenance of healthy blood sugar levels. Ongoing research will undoubtedly reveal additional benefits. Baliga, Manjeshwar S.; Katiyar, Santosh K. (2006). “Chemoprevention of photocarcinogenesis by selected dietary botanicals”. Photochemical & Photobiological Sciences 5 (2): 243–53. doi:10.1039/b505311k. PMID 16465310. Mantena SK, Katiyar SK. Grape seed proanthocyanidins inhibit UV-radiation-induced oxidative stress and activation of MAPK and NF-kappaB signaling in human epidermal keratinocytes. Free Radic Biol Med. 2006 June 1;40(9):1603-14. Katiyar, Santosh K. (2008). “Grape seed proanthocyanidines and skin cancer prevention: Inhibition of oxidative stress and protection of immune system”. 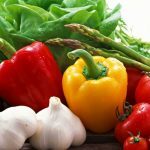 Molecular Nutrition & Food Research. 52 Suppl 1: S71–6. doi:10.1002/mnfr.200700198. PMC 2562900. PMID 18384090. Su, X; d’Souza, DH (2011). “Grape seed extract for control of human enteric viruses”. Applied and environmental microbiology 77 (12): 3982–7. doi:10.1128/AEM.00193-11. PMC 3131668. PMID 21498749. Nair, Madhavan P; Kandaswami, Chithan; Mahajan, Supriya; Nair, Harikrishna N; Chawda, RAM; Shanahan, Thomas; Schwartz, Stanley A (2002). “Grape seed extract proanthocyanidins downregulate HIV- 1 entry coreceptors, CCR2b, CCR3 and CCR5 gene expression by normal peripheral blood mononuclear cells”. Biological Research 35 (3–4): 421–31. doi:10.4067/S0716-97602002000300016. PMID 12462994. Al-Habib A, Al-Saleh, E (2010). “Bactericidal effect of grape seed extract on methicillin-resistant Staphylococcus aureus (MRSA)”. Journal of Toxicology Science 357 (3): 357–64. PMID 20519844. Eur J Clin Nutr. 2006 Oct;60(10):1201-6. Epub 2006 May 3. Effect of a novel dietary supplement on skin aging in post-menopausal women. Skovgaard GR1, Jensen AS, Sigler ML. Biosci Biotechnol Biochem. 2003 May;67(5):1140-3. Procyanidin B1 is detected in human serum after intake of proanthocyanidin-rich grape seed extract. Sano A1, Yamakoshi J, Tokutake S, Tobe K, Kubota Y, Kikuchi M.
J Agric Food Chem. 2011 Oct 12;59(19):10594-603. doi: 10.1021/jf202697j. Epub 2011 Sep 12. Analysis of Flavan-3-ols and procyanidins in food samples by reversed phase high-performance liquid chromatography coupled to electrospray ionization tandem mass spectrometry (RP-HPLC-ESI-MS/MS). Rzeppa S1, Von Bargen C, Bittner K, Humpf HU. Chapla Agarwal, Rana P. Singh, and Rajesh Agarwal, Grape seed extract induces apoptotic death of human prostate carcinoma DU145 cells via caspases activation accompanied by dissipation of mitochondrial membrane potential and cytochrome c release, Carcinogenesis (2002) 23 (11): 1869-1876. doi: 10.1093/carcin/23.11.1869.